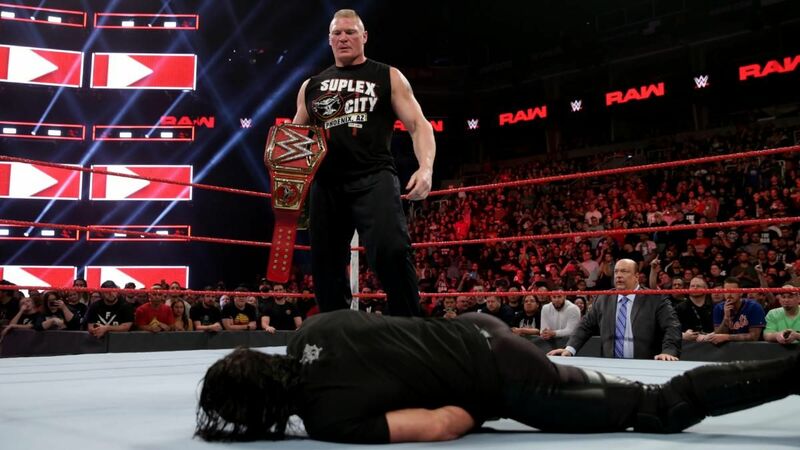 Last week’s Monday Night RAW advanced a ton of storylines as the WWE Universe gets closer to WrestleMania 35. With just three weeks left until the WWE’s biggest show of the year, the March 18 episode of Monday Night RAW should be a memorable one. Brock Lesnar will return to Monday Night RAW for the first time in months to build towards his Universal Championship match with Seth Rollins. After Rollins told Lesnar’s advocate, Paul Heyman, that The Beast has trouble with athletic wrestlers how will Brock respond? And will Seth regret his words? Speaking of Rollins, The Architect is set to go one-on-one with Drew McIntyre after the Scottish Psychopath laid out both Roman Reigns and Dean Ambrose last week. Rollins looks to repay Drew for his transgressions, but with Lesnar in the building it’ll be interesting to see where Seth’s focus will be. READ Report- Who Is Going to the Super Bowl? Kurt Angle announced his upcoming final match last week and the question of who he will take on at WrestleMania 35 has the WWE Universe speculating. Angle is scheduled to announce his WrestleMania opponent tonight, but will it be any of the men he alluded to? After an impassioned promo, Dana Brooke is set to get in the ring with RAW Women’s Champion, Ronda Rousey. Brooke showed heart, but will it be enough to take out the “Baddest woman on the planet”? Beth Phoenix is a woman on a mission, as she continues to make life hard for Tamina and Nia Jax. After being taken out during the Fastlane post-match beatdown, Beth and her longtime friend Natalya got revenge by taking it to Tamina and Nia Jax last week. It looks like the “Divas of Doom” are ready to reunite before WrestleMania. Bobby Lashley shocked the WWE Universe by re-capturing his Intercontinental Championship against Finn Balor last week – thanks to Lio Rush. Now, Finn is set to take on Lashley and Rush in a tag team match but Balor’s partner has yet to be determined. Here’s everything that happened on the March 18 episode of Monday Night RAW. Brock Lesnar and Paul Heyman come out to a chorus of boos and “burn it down” chants. Heyman says that what Seth Rollins said last week caused Lesnar to come to RAW. He says that Seth is wrong when he said that Lesnar has a problem with smaller guys. Heyman lists Lesnar’s recent conquests including AJ Styles, Daniel Bryan, and Finn Balor. Heyman says that Seth is a fool to want to say something to Lesnar in the same night as his fight with Drew McIntyre. Heyman puts over Drew McIntyre and asks Seth what is he thinking? This causes Drew to come out. McIntyre says that it’s refreshing to finally get the respect he’s earned in the WWE. McIntyre says that once he’s done with Seth, Rollins won’t even make WrestleMania. Seth comes down the ramp and hits Drew with a few chair shots. Rollins then looks at Brock in the ring and gets in with a chair. Lesnar steps out of the ring and laughs. Rollins eggs him to get in the ring, but Heyman convinces Lesnar to not go in there and to wait for WrestleMania. Heyman and Lesnar walk up the ramp and leave.